For homeowners who live in low lying areas or near rivers, excessive water can cause a problem when you least expect it. 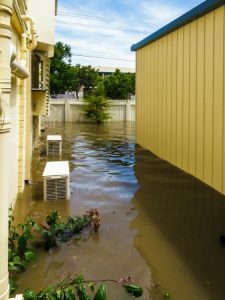 Without proper drainage systems in place your property can become overwhelmed with water, leading to flooded basements, damage to your foundations and soil erosion. If you constantly experience overflowing water, you may look to installing a landscape drainage solution. At Allied Drains, we specialize in providing quality services for drains and sewers. At Allied Drain Cleaning, we provide quality landscape drainage solutions for homeowners businesses in the greater Hartford area. We can propose an effective plan to provide you with drainage for storms, overflowing rivers or excessive rain. We will evaluate your property and discuss your options with you. We will help to determine the most cost-effective solution to long-lasting drainage for your home or business. We always explain our costs upfront, so you know exactly what to expect.